If reports are to be believed, Eros International has given a stunning offer to the makers of 'Saaho'. The Bollywood distribution house that bought many Tollywood movies like '1 Nenokkadine' and 'Sardaar Gabbar Singh' is vying to buy the theatrical rights of Prabhas's upcoming 'Saaho'. 'Saaho' will be commencing its regular shoot in June. Prabhas will be seen in an action role. The movie is being produced by UV Creations and Sujit directs it. Being made in Telugu, Tamil, Malayalam and Hindi languages, 'Saaho' has become red hot project in Indian movie industry. 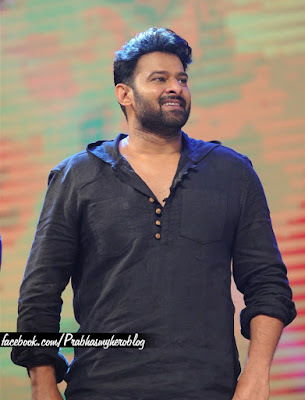 Prabhas is now heartthrob for girls in India. Eros is said to be offering Rs 400 Cr for the entire theatrical rights of all languages of the movie. The film's total budget is about Rs 150 Cr. If this turns out to be true, it will become biggest ever deal for a Telugu cinema.